Asking Price The price of a property as listed on the market. Hi, I am writing in regards to the property at 260 Dover Hill Rd, East Dover, VT 05341. Please send me more information or contact me about this listing. This is an MLS listing, meaning the property is represented by a real estate broker, who has contracted with the home owner to sell the home. This listing is NOT a foreclosure. You will not believe that this home is almost 200 years old! The current owners have been incredible stewards of the property. The first thing you will notice are the 100 mile views from the large front porch. These views are incredible. 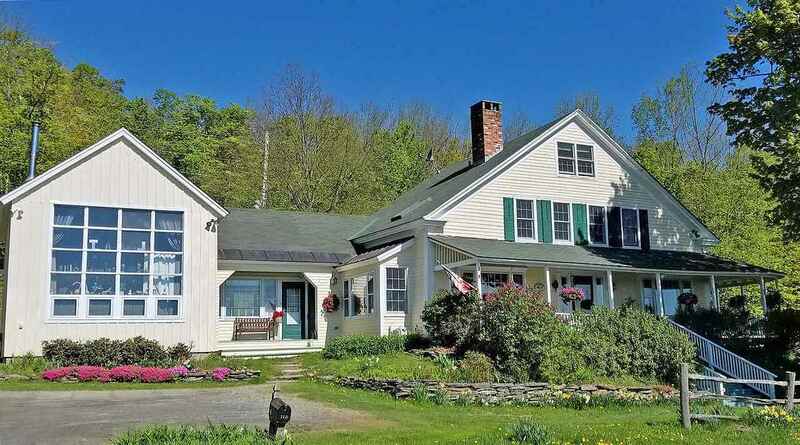 This is a perfect place to raise a family or use it for an escape to Vermont vacation retreat! A great place to entertain, this 3-story home is convenient to Mount Snow and Dover Elementary School. You'll enjoy 7 bedrooms, 4-1/2 bathrooms, a gracious dining room with its own fireplace, a large master suite and sitting area, large formal living room with cozy wood-burning fireplace. A wet bar for parties, built-in bookcases, first-floor laundry, and country kitchen with breakfast bar, double ovens for entertaining the troops. Copper, granite and butcher block counter tops, gas cook top, dishwasher, walk-in pantry. A large storage shed, income producing apartment or in-law apartment, guest quarters for friends, den, home office, library. Oh, did I mention that there's a swimming pond in the back yard? Apartment has its own entrance and separate heat and electric meter. This is truly a one of a kind property.This MLS Resale home is a single family home located in East Dover. It offers in size, 7 beds and 4.5 baths. Review its detailed information and determine if this East Dover MLS Resale has the qualities you are looking for.